If you’d like to experience role-playing in the world of classic Gothic stories, try Ghastly Affair, “The Gothic Game of Romantic Horror”! 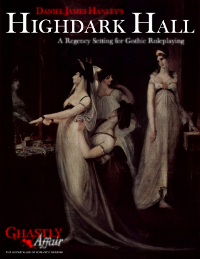 The Ghastly Affair Player’s Manual contains all the information you need to be a Player, and the Ghastly Affair Presenter’s Manual gives you the tools to create and run Gothic stories of Love, Death, and the Supernatural! 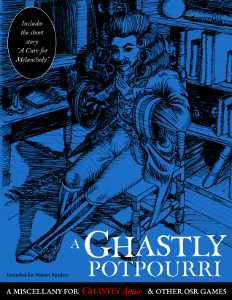 Ghastly Affair is intended for mature readers.